Perfect for wet weather conditions, this women's Wellington Boot has been at the heart of the Hunter Original brand since its introduction in 1956. Formed of natural rubber, each pair is made from 28 hand-cut parts and assembled over three days on an aluminium last bespoke to Hunter, before being vulcanised for superior protection. 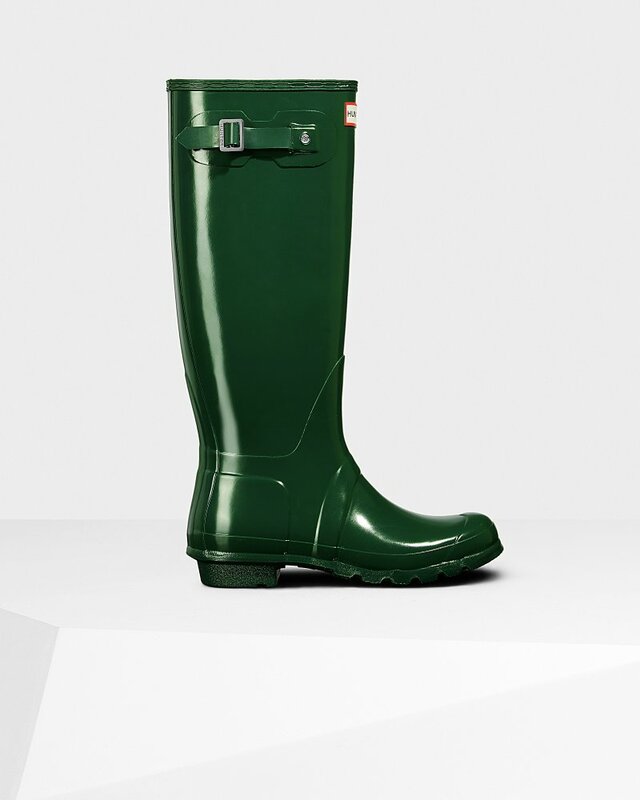 Featuring the Hunter Original tread pattern, and a comfortable polyester lining, the Original Tall Gloss Wellington in traditional Hunter Green is a timeless wet weather staple.